James Garner, who died on July 19 at the age of 86, was quintessentially modern (in the best sense of the term), masculine and American. His screen persona was easygoing, strong and resolute, whether portraying a player in TV’s Maverick or opposite the indomitable Doris Day in The Thrill of it All and Move Over, Darling (both 1963). His dark Indian handsomeness perfectly fit heroic, military roles in The Great Escape and The Americanization of Emily and Garner exuded masculinity without coming off as brooding, tortured or macho like some of his tough guy peers. He conveyed the sense he could knock an adversary out with a single punch while equally portraying a subtle quality that he’d only do so upon his own independent judgment that taking a swing was warranted, was his decision alone and that he would do so almost always as a last resort. Blending comedy and drama and making it look seamlessly integrated, the Korean War veteran kept his most challenging roles grounded in reality with an intensity rarely seen among actors of his type, caliber and range. In The Children’s Hour, he plays a doctor in love with one of the female teachers accused of lesbianism in Lillian Hellman’s story of friendship and persecution, yet he does so deftly without overwhelming the tale and all while adding depth to every scene. It’s a small, serious and crucial role which delivers an early glimpse at his ability to play men of the mind. He played off forbidden sexual orientation again in 1972’s They Only Kill Their Masters with June Allyson and fabulously as the object of Julie Andrews’ sexual impersonator’s affections in Victor/Victoria (1982) after returning to television as the title’s reformed criminal character in NBC’s successful crime comedy-drama The Rockford Files. By then, his charisma, dry wit and physical attractiveness were a tonic for troubled times and became popular in the culture, parlaying into an endorsement deal for a commercial series about Polaroid’s cameras featuring Mariette Hartley. James Garner’s humor was always sharp, not snide. His persona was a bit jaded, not cynical. He was never depraved. His characters were always smart, attuned to reality and ultimately interested in achieving some higher value, whether helping a troubled friend on Rockford or stepping up to help the helpless, as he did in trying to rescue Donald Pleasance’s blind man in The Great Escape, a role which capably demonstrates his skill in combining the qualities of a big and tall friendly U.S. soldier with a modern sensibility to be the non-conformist who is confident to take on a task no one else will dare attempt and to do so with humor, grace and kindness. Garner played some variation of this unique mixture in many dimensional performances; in Grand Prix (1966), Skin Game (1971), Murphy’s Romance (1985), the CBS medical drama Chicago Hope, Space Cowboys (2000), Divine Secrets of the Ya-Ya Sisterhood (2002), and, of course, as Duke in The Notebook (2004). 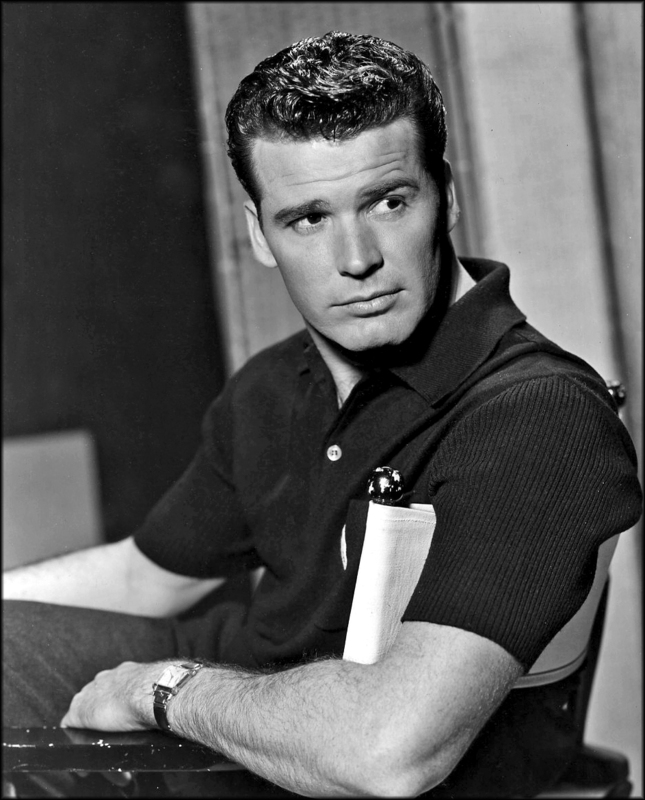 He was like a more modern, enlightened version of Clark Gable or Douglas Fairbanks, Jr.
James Garner had the movie star looks, charm and larger than life heroism. But he possessed a distinctly American characteristic of wanting to do what’s right even when doing what’s right is not obvious. With his body, eyes and tone of voice, he expressed an attitude of ‘to hell with what others think’ in each climactic scene with just the right degree of Devil-may-care and heroism to make the conflict resolution seem jovial, serious and never without the top value clearly at stake – with the dilemma never taken lightly, unseriously or undertaken as a trivial or reckless gesture. That he acted with an exact balance of ease and self-confidence is why his death is widely impacting people who live in an age when men of action, reason and joie de vivre are especially rare, particularly in pictures. He wrote his memoirs with Jon Winokur a few years ago (read my review here) and capped off a remarkable career with the equally remarkable story of triumph in his personal life over an evil stepmother who physically, sexually and in all ways abused the Garner children. That James Garner chose to come out and speak up is an honest, strong testament from an amazingly talented and entertaining artist. Now that he is gone, it is perhaps better known that he also embodied the virtues of characters he portrayed. This makes watching his screen performances more rewarding. May James Garner rest in peace.